The lifetime risk of getting cancer is about 53% for men and 48% for women. So good news on ways to cut that risk is important to every one of us. 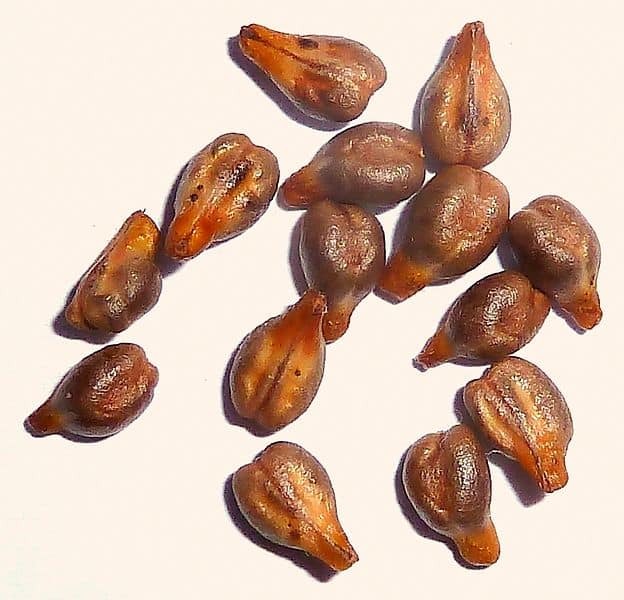 Grape seeds or grapeseed extract may not be your first thought as part of a cancer preventative strategy, but many studies (fully referenced below) show that the seeds of grapes have important anti-cancer properties including against breast, prostate, melanoma, pancreatic and colon cancer. The reason grapeseed extract is exciting scientists in the field is that it contains compounds have been found to inhibit the mechanisms behind cancer in multiple ways. These compounds include procyanidins, gallic acid and catechins. A multiple approach to help prevent or treat cancer is highly desirable, because most chemotherapy drugs tackle only one or two of the mechanisms to try to stop cancer spreading (metastasising). Moreover, different people react in different ways to chemotherapy – as they do to nutrients in food. So the more interventions that can be used to inhibit the processes by which cancer originates, the more likely one of them is to be effective. They suppress cell-signalling. Signalling is key to the ability of cancer cell to grow and spread, so suppressing it helps stop that growth. They damp down inflammation which otherwise encourages the spread of cancer cells. They stimulate cell death – what is called apoptosis. Encouraging cancer cells to die is essential, because cancer involves mutated cells that proliferate and refuse to die when they should. Colon and bowel cancers are the third most deadly form of cancer. Most develop from polyps in the intestine. Research published in the specialist cancer journal Neoplasia has found that Grape Seed Extract (GSE) can cut the number of large polyps by as much as 70%. It has also been shown to reduce both the formation and the spread of cancer cells by over 80% and to help suppress tumour cells. Even more importantly, grapeseed extract has been shown to suppress colon cancer stem cells – which is central to eliminating a cancer. Grapeseed also includes gallic acid and this compound appears very effective in decreasing the proliferation and size of prostate tumours. Studies show that the effect is dose-dependent – starting at 50mg a day as a daily preventative dose to as high as 200mg a day as treatment. Other compounds in grapeseed help prevent angiogenesis – the growth of blood vessels that tumours need to maintain themselves and grow. If this blood supply is cut off, the tumours can shrink. Other research shows that a compound in soy isoflavones called genistein can do the same. Of course, these desirable effects are not limited to prostate cancer – so grapeseed extract is indicated as part of an overall anti-cancer strategy. There is evidence, from a study published in Breast Cancer Research Treatment, that grapeseed can enhance the effect of one of the common breast cancer chemotherapy drugs called doxorubicin (brand name Adriamycin). Additionally, grapeseed’s strong anti-oxidant effect has been shown to protect and maintain heart muscle. This is important, as damage to the heart can be a side-effect of breast cancer therapy. 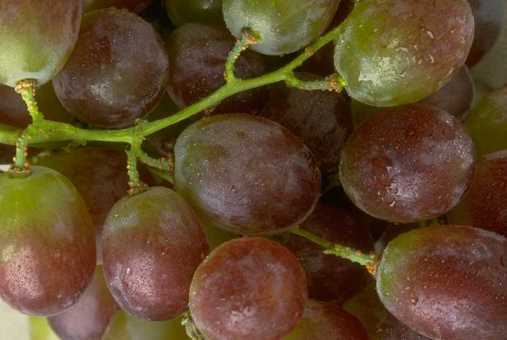 Grapeseed extract has another very important anti-cancer mechanism – not just for breast, but all cancers. This includes pancreatic cancer, which has a low survival rate and is notoriously difficult to treat. Grapeseed extract has been shown to reduce strongly the damaging effect of protein enzymes called MMPs (Matrix Metallo-Proteinases). MMPs are important proteins for normal wound healing. BUT in excessive numbers, they are highly damaging and can literally chew through the matrix of cells that form the outer ‘mesh’ tissue walls of internal organs. The resulting breach allows cancer cells to spread or metastasise and invade other organs. 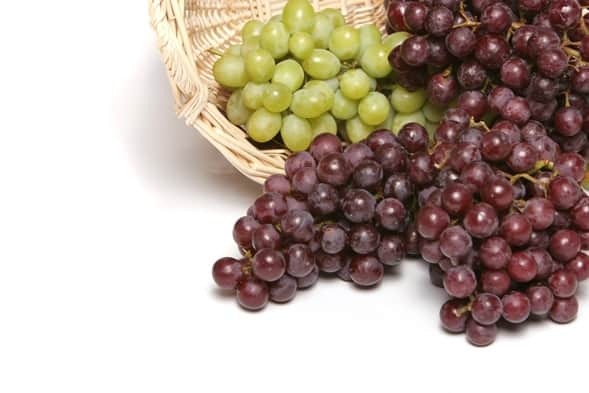 Grapeseed extract appears from research to be able to stop or slow the damage from MMPs and therefore help inhibit or even prevent cancer cells from spreading. Other compounds that appear able to do this are curcumin and the flavonoids in dark-coloured berries such as bilberry and blackcurrants – and the catechins in green tea. So combining all these compounds is a logical, natural, defensive strategy, as we do in the supplement NutriShield. If cancer has actually presented, however, the research indicates that high doses of grapeseed extract are needed – in conjunction with conventional cancer drugs. Some clinics are using doses as high as 1,200mg of grapeseed extract a day plus 1,000mg of curcumin taken with an oil source like Omega 3 for better bioavailability. Grapeseed extract is both a powerful anti-oxidant and an anti-inflammatory. There is a lot of fatty tissue in the brain and therefore it is vulnerable to oxidation or free radical damage – in rather the same way as fats will oxidise (go rancid) in the presence of air/oxygen. In animal experiments, grapeseed extract was found to inhibit free radical damage to the brain and help prevent loss of cognitive ability – even in the presence of a high fat diet. Over the last few years, brain researchers have identified a key element in degenerative brain diseases as being the interaction in brain cells between inflammation and what is called excitotoxicity. Excitotoxity is a highly complex process, but is essentially the over-activity of certain ‘excitatory amino acids’ including glutamate, leading to neuron death and potential dementia. What is important is that studies show that grapeseed extract helps inhibit both inflammation and excitotoxicity. This may be why a study showed that patients who had been taking grapeseed extract prior to a stroke suffered less memory impairment. 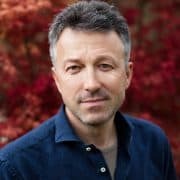 In one other important study, researchers concluded that grapeseed extract – along with other flavonoids like curcuminoids, green tea catechins, apigenin (found in parsley and onions) and luteolin (found in celery, thyme and chamomile tea) – can reduce the level and effect of age-related changes in the brain. These flavonoids appear to act against the brain-toxic sticky protein called beta-amyloid and also tau protein tangles – both characteristics of dementia and especially Alzheimer’s. It s for these reasons that there are now human trials ongoing using grapeseed extract as a specific natural adjunct treatment for Alzheimer’s. Finally, the multiple health benefits of grapeseed extract extend to help lowering blood pressure in overweight people and to improved heart function. Although cancer appears mainly a disease of older people – most cases are first reported in over 65s – it is a slowly developing disease. So the first stages may be occurring as much as 10-15 years before it manifests itself. Therefore, the time to take preventative action is in the very early 50s. As you will have seen, a grapeseed extract supplement is a logical part of that action. But it’s only a part, as there are many other actions you can take. We have created a comprehensive report on the very best ways to cut the risk of cancer – and you can read it here: Reduce cancer risk and maximise your health span. It is on the basis of the research outlined in this article that we have included grapeseed extract, green tea extract, soy isoflavones and curcumin in our over 50s daily health supplement NutriShield Premium. Dr Paul Clayton designed NutriShield as a comprehensive health supplement with OPTIMUM levels of essential nutrients including grapeseed extract. See more detail elsewhere on this site or click on the button. Dietary flavonoids: Role of (-)-epicatechin and related procyanidins in cell signalling. Fraga CG, Oteiza PI. Free Radic Biol Med. 2011 Aug 15;51(4):813-23. doi: 10.1016/j.freeradbiomed.2011.06.002. Epub 2011 Jun 12. Grape seed proanthocyanidins inhibit the proliferation, migration and invasion of tongue squamous cell carcinoma cells through suppressing the protein kinase B/nuclear factor-κB signaling pathway. Ninggang Yang, Jing Gao, Xin Cheng, Cuilan Hou, Yaya Yang, Yanxin Qiu, Mengrou Xu, Yuan Zhang and Shuangsheng Huang. Int J Mol Med. 2017 Dec; 40(6): 1881–1888. Fractionation of grape seed extract and identification of gallic acid as one of the major active constituents causing growth inhibition and apoptotic death of DU145 human prostate carcinoma cells. Veluri R, Singh RP, Liu Z, Thompson JA, Agarwal R, Agarwal C. Carcinogenesis. 2006 Jul;27(7):1445-53. Epub 2006 Feb 10. Dietary Feeding of Grape Seed Extract Prevents Intestinal Tumorigenesis in APCmin/+ Mice. Balaiya Velmurugan, Rana P Singh, Nidhi Kaul, Rajesh Agarwal and Chapla Agarwal. Neoplasia. 2010 Jan; 12(1): 95–102. Dietary grape seed extract ameliorates symptoms of inflammatory bowel disease in IL10-deficient mice. Wang H, Xue Y, Zhang H, Huang Y, Yang G, Du M, Zhu MJ. Mol Nutr Food Res. 2013 Dec;57(12):2253-7. doi: 10.1002/mnfr.201300146. Epub 2013 Aug 21. Synergistic anti-cancer effects of grape seed extract and conventional cytotoxic agent doxorubicin against human breast carcinoma cells. Sharma G, Tyagi AK, Singh RP, Chan DC, Agarwal R. Breast Cancer Res Treat. 2004 May;85(1):1-12. 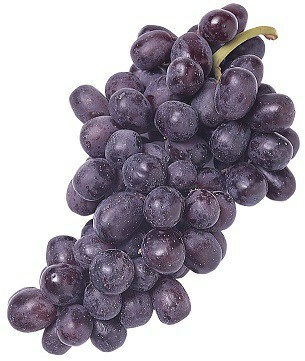 Grape seed extract inhibits the growth of prostate cancer PC-3 cells. Huang TT, Shang XJ, Yao GH, Ge JP, Teng WH, Sun Y, Huang YF. 2008 Apr;14(4):331-3. Multi-targeted therapy of cancer by genistein. Sanjeev Banerjee, Yiwei Li, Zhiwei Wang, and Fazlul h. Sarkar. Cancer Lett. 2008 Oct 8; 269(2): 226–242. Anticancer and Cancer Chemopreventive Potential of Grape Seed Extract and Other Grape-Based Products. Manjinder Kaur, Chapla Agarwal, and Rajesh Agarwal. J Nutr. 2009 Sep; 139(9): 1806S–1812S. Grape seed extract suppresses lipopolysaccharide-induced matrix metalloproteinase (MMP) secretion by macrophages and inhibits human MMP-1 and -9 activities. La VD, Bergeron C, Gafner S, Grenier D. J Periodontol. 2009 Nov;80(11):1875-82. doi: 10.1902/jop.2009.090251. Role of grape seed polyphenols in Alzheimer’s disease neuropathology. Giulio Maria Pasinetti and Lap Ho. Nutr Diet Suppl. 2010 Aug 1; 2010(2): 97–103.